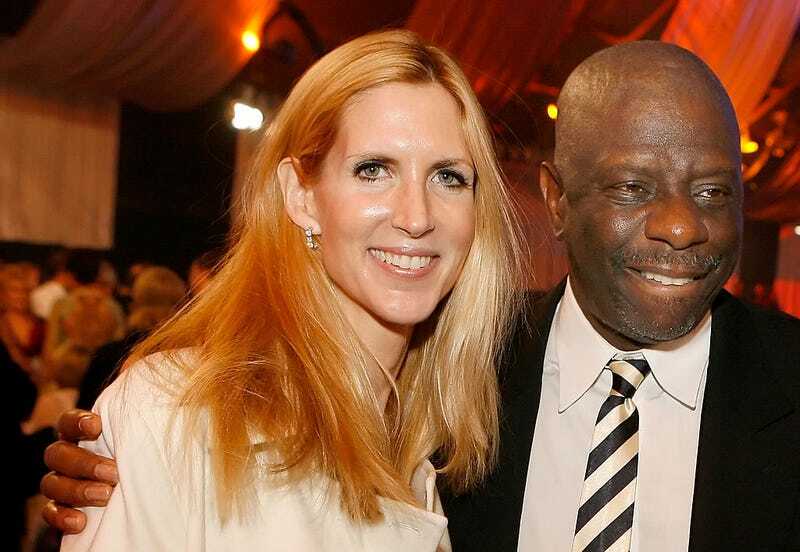 Ann Coulter and Jimmie Walker have been friends for years, but over the last couple of years, rumors have surfaced about them being a little closer than just best buds. And after Norman Lear reopened the can of relationship worms, stating that they were, in fact, in a relationship, Coulter is finally responding to the rumors. Ann Coulter Is Dating Jimmie Walker. Are Your Eyes Burning, Too? Now, would that be “best of friends with benefits” or “best of friends without benefits”? Actually, what benefits could anyone get by being friends with Coulter? Walker has yet to respond to Lear’s assertions, and he probably won’t. Remember when Lear ruined Good Times?